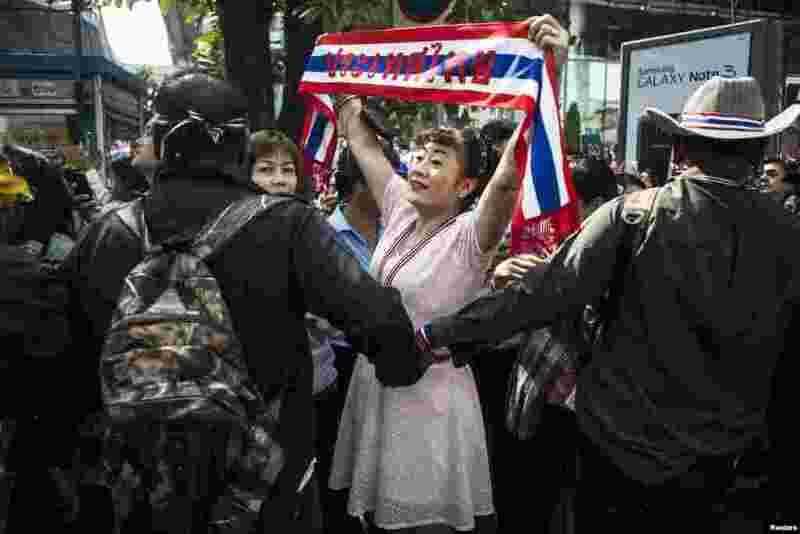 1 A girl reacts at an anti-government rally in central Bangkok, Jan. 28, 2014. 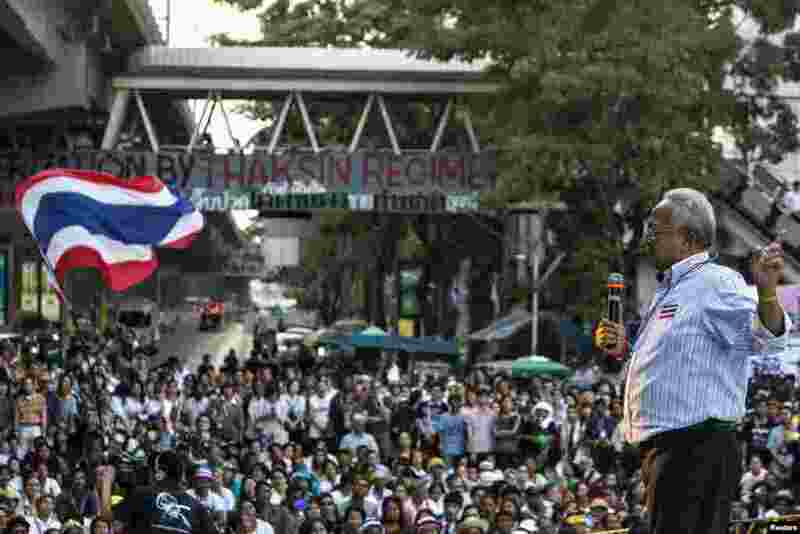 2 Protest leader Suthep Thaugsuban speaks to his supporters during a rally in central Bangkok, Jan. 28, 2014. 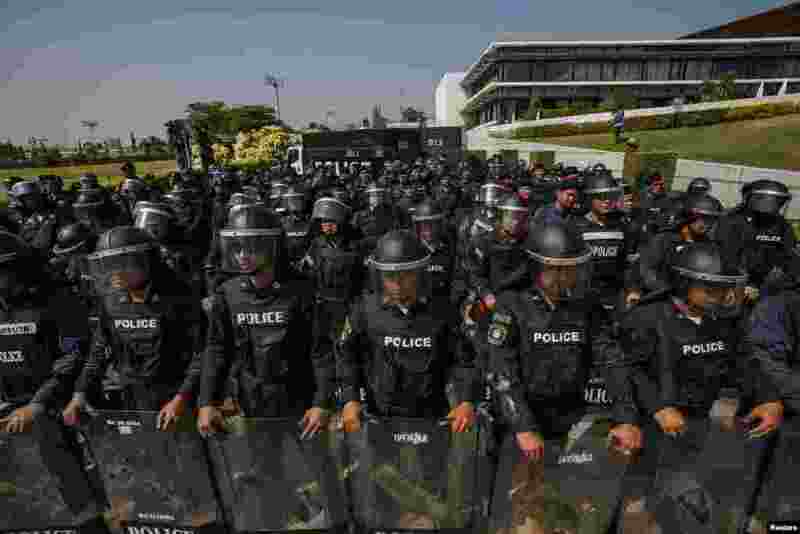 3 Riot police officers stand guard at the gate of the Army Club where Prime Minister Yingluck Shinawatra was holding a meeting in Bangkok, Jan. 28, 2014. 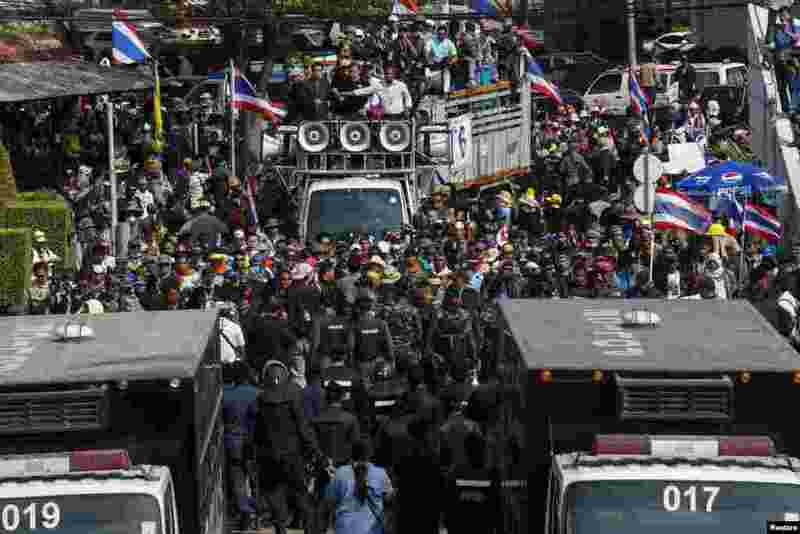 4 Riot police and soldiers stand guard as anti-government protesters gather at the gates of the Army Club where Prime Minister Yingluck Shinawatra was holding a meeting in Bangkok, Jan. 28, 2014. 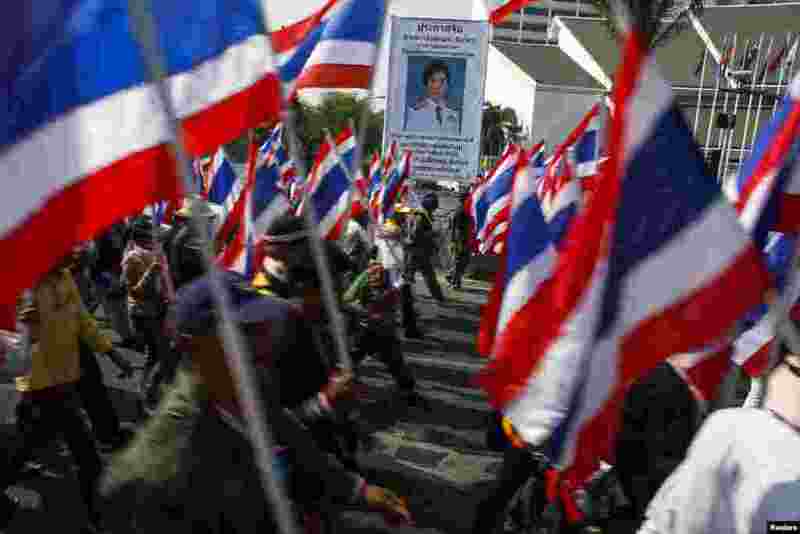 5 Anti-government protesters march past a poster of Thai Prime Minister Yingluck Shinawatra during a rally in central Bangkok, Jan. 24, 2014. 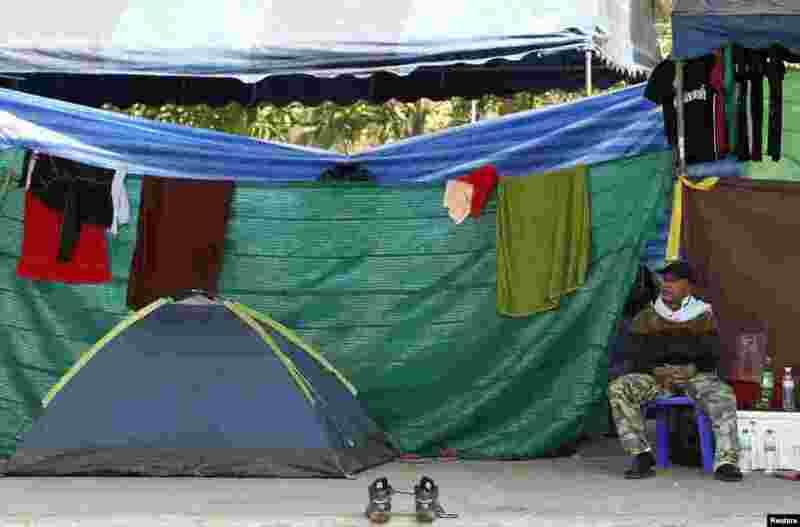 6 An anti-government protester takes a rest beside his tent during a rally near the Government Complex in Bangkok, Jan. 24, 2014. 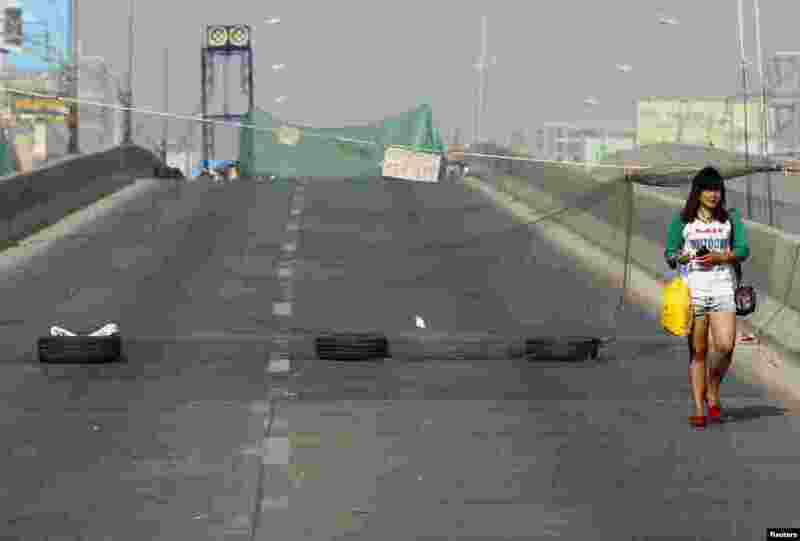 7 An anti-government protester walks down an empty road near the Government Complex in Bangkok, Jan. 24, 2014. 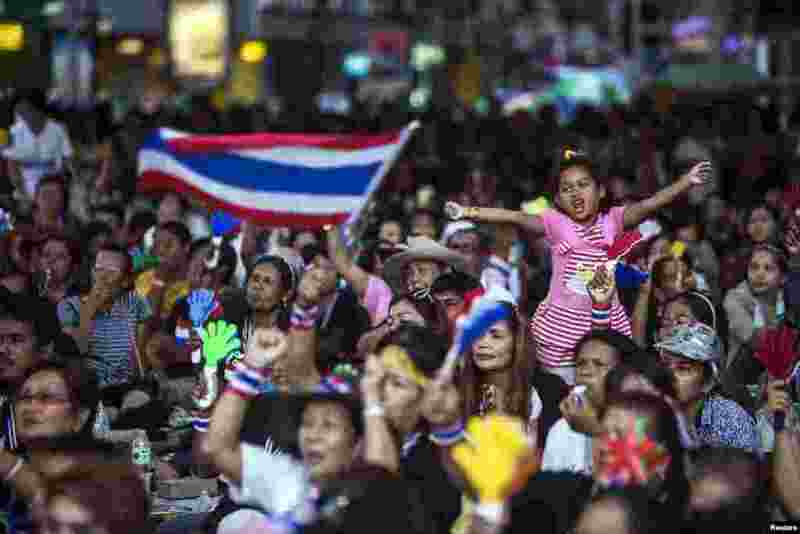 8 An anti-government supporter reacts as protest leader Suthep Thaugsuban (not seen) leads a rally in Bangkok's financial district, Jan. 23, 2014. 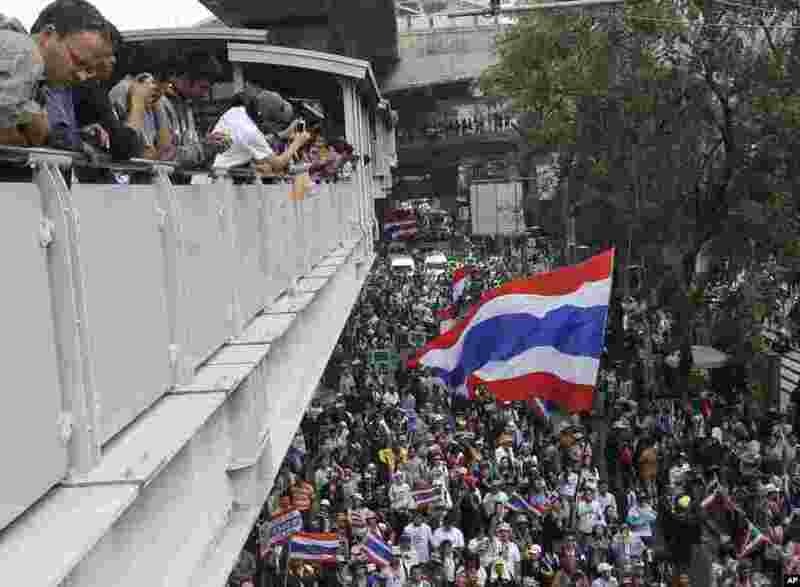 9 Anti-government protesters march during a rally in Bangkok, Jan. 23, 2014.